Hey there all you TAYers, Ani-TAYers, and everyone else who has stumbled across this post. 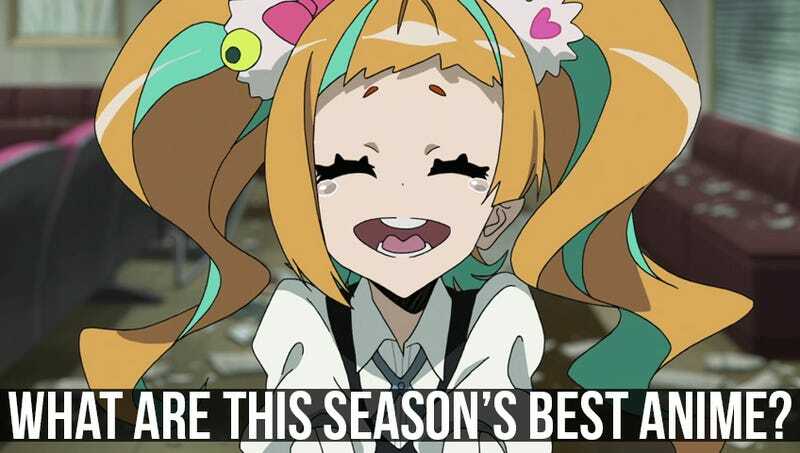 We’re well into spring, so it’s time to ask: What are the best anime of the spring 2016 season? As always I will be posting an anime guide detailing the must-watch new anime of this, the spring 2016 anime season, on Kotaku in the next week or so. But as I am only one man, I’m here to ask for help. I’m already a watching a ton of anime but its it’s more than possible that there are a few great ones in the 58 new anime this season that I have somehow missed. In the past, your votes and recommendations pointed me towards the anime that were flying under my radar; so I hope you’ll help me again. One note though: This poll is only for shows that began airing this spring season—i.e., after April 1, 2016. Continuing anime have already appeared on the winter season poll.